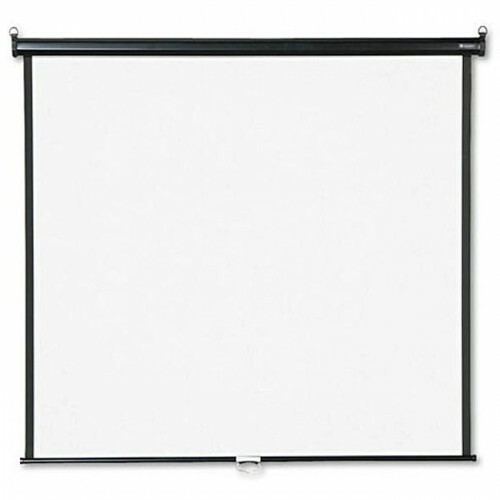 Install this wall projection screen in boardrooms, classrooms or anywhere frequent presentations are given. The matte white surface ensures top quality picture projection. Black border for easy viewing. Pulls down and retracts with ease.